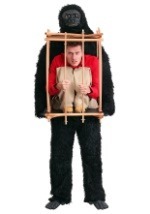 Get your wild gorilla on with this realistic ape costume for adults! 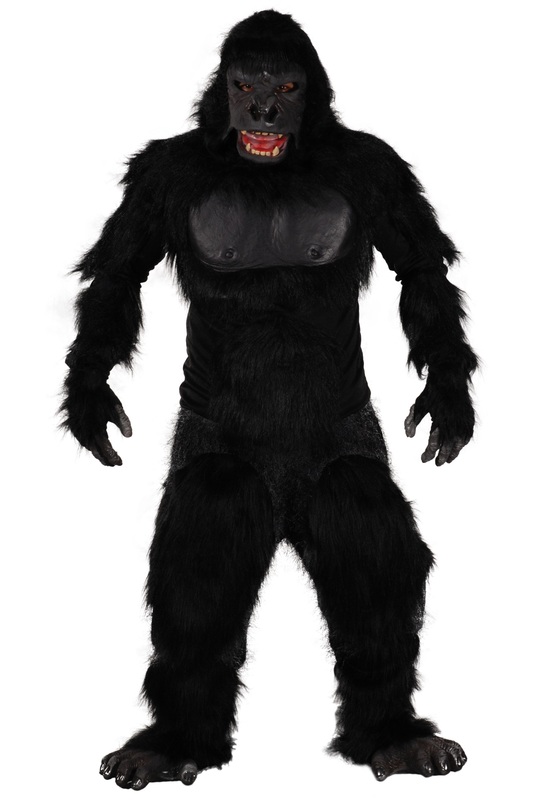 The two bit roar costume includes a gorilla chest shirt, made from a blend of polyester, acrylic and latex. Foam padding in the chest, arms and shoulders provides a comfortable fit, as well as a bulky appearance, and an elastic band in back helps keep the shirt fitting snug. 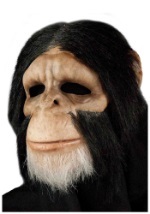 The chest features latex pectoral muscles, while faux gorilla hair covers the rest or shirt. 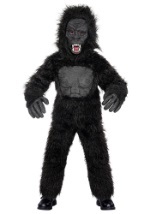 The costume also includes a matching pair of faux gorilla fur pants. Thick foam pads in the thighs create the illusion of gorilla muscles, while extra hair near the bottom creates additional detail. An elastic band around the waist ensures that the pants fit comfortably on many sizes. Velcro straps near the bottom of the shins also help to adjust fitting. 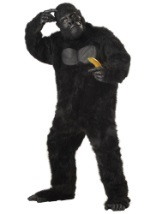 The gorilla feet are covered in faux gorilla fur and fit on your feet with elastic bands around your shins. The bottom of the footwear features molded latex gorilla toes. 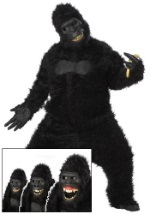 The gloves fit all the way to the elbows and are covered in faux gorilla fur. Your fingers fit inside the molded latex gorilla fingers. 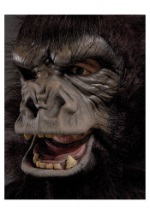 The full mask features a latex face, molded to look like a gorilla, while faux gorilla fur covers the rest of the mask. 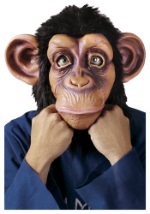 A series of elastic bands an foam pads secure the mask snugly to your face, while a strap around your jaw makes the mask move its mouth when you move your jaw! Whether you plan on escaping from the zoo, climbing large buildings, or going on a rampage, this gorilla costume is the perfect suit to do it in!